Sarah has been at Tri City RV since 2008 working in the Parts and the Service/Warranty departments. She also handles rentals and dispatching of units to be picked up from manufacturers. 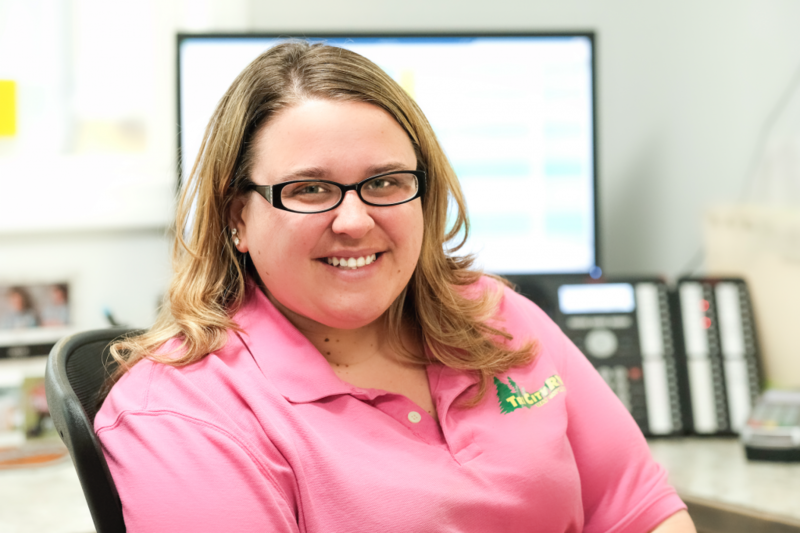 No matter what she’s doing, Sarah likes that it’s always fun to work at Tri City RV. When she’s not at work, Sarah enjoys life as a sports mom. Her 3 sons play baseball, basketball, football, and bowl on a league. She also loves riding her Harley, cooking, baking, decorating, and landscaping around her home. One thing I love about camping is everyone sitting around the campfire roasting marshmallows, telling stories, and just enjoying themselves. As far as a favorite camping meal, I don’t have a meal but I have two sweet treats that I love to make over the campfire. First sweet treat is s’mores, however, I don’t make them the old-fashioned way with a chocolate bar. I use peanut butter cups instead … Yum Yum! My next favorite treat is biscuits on a stick rolled in butter, cinnamon and sugar … Delicious! My favorite place to camp is Young’s State Park. I love it there because it’s right on the beach and the water there is so beautiful. They have tons of group activities for the kids and the park is very clean. America is the land of the free and we have freedom. I am grateful for my family and children. My pledge to my customers is that I will always go the extra mile to get them what they need.